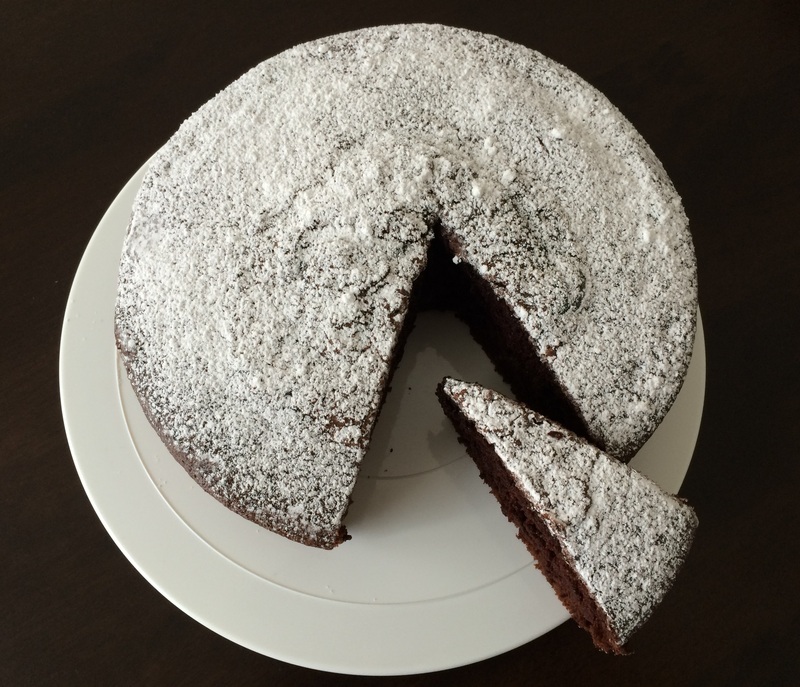 Melt in the mouth chocolate cake…..
Whisk flour, cocoa, baking powder, baking soda and salt in a bowl and keep aside. Mix coffee and milk and keep aside. Cream butter, white sugar and brown sugar in a large bowl. Add one egg at a time and mix well. Add vanilla essence. Add all flour and mix. Add coffee mixture and mix well until no lumps remain. Pour batter into a well-greased bundt pan and bake in a preheated oven at 160 degree Celsius for 45-50 mins or until a toothpick inserted in the center of the cake comes out clean. Cool the cake in the pan and invert to a serving dish. Serve as is or use any frosting of your choice. Mix icing sugar and water (add drop by drop) and mix with a spoon. Transfer to one corner of a zip lock bag. Nip of end and drizzle over the cake. 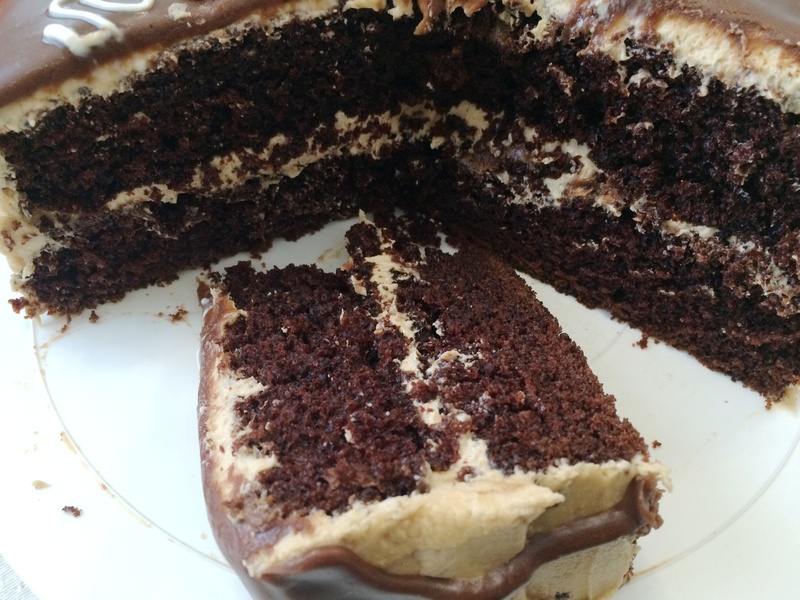 A perfect cake for any occasion…..soft and moist…..peanut butter and chocolatey!! Preheat oven to 160 degree Celsius. Grease 2nos 8 or 9 inch cake pans and set aside. Whisk flour, cocoa powder, baking powder, baking soda and salt in a bowl. In a medium saucepan combine water and sugar. Bring it to a boil and stir until sugar dissolves. Take off heat and add butter and chocolate. Stir occasionally until melted. Whisk in oil and vanilla. Add eggs and whisk quickly to combine. Do this fast and quick to prevent eggs from cooking …..but trust me it will not cook!! Add flour in batches and whisk to combine. Pour batter evenly in the pans and bake for 25-30 minutes or until a toothpick inserted in the center of the cake comes out clean. Cream butter and peanut butter in a bowl. Add vanilla and salt. Add icing sugar half cup at a time. Beat well to combine. Add milk little at a time and beat until light and fluffy. Place one cake upside down on a serving plate. Add a thick layer of frosting and spread evenly. Place the other cake upside down and press slightly. Apply a thin layer of frosting all over the cake and pop in the refrigerator for 10 mins. Keep in the freezer for few minutes if you are in a hurry. 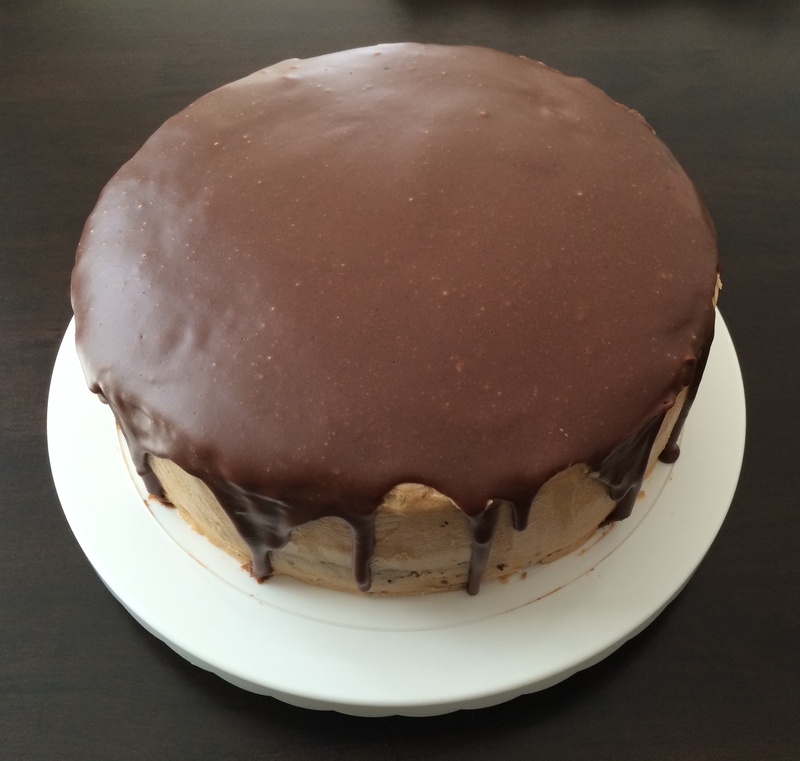 Take the cake out and spread an even layer of remaining frosting around the cake. Pop it back in the refrigerator. Now prepare the glaze. In a small saucepan add milk, corn syrup, vanilla and butter and heat over medium flame until butter melts. Lower the heat and add chocolate and whisk until melted. Take off fire and add icing sugar and whisk until smooth. Let the glaze sit for 5 minutes. 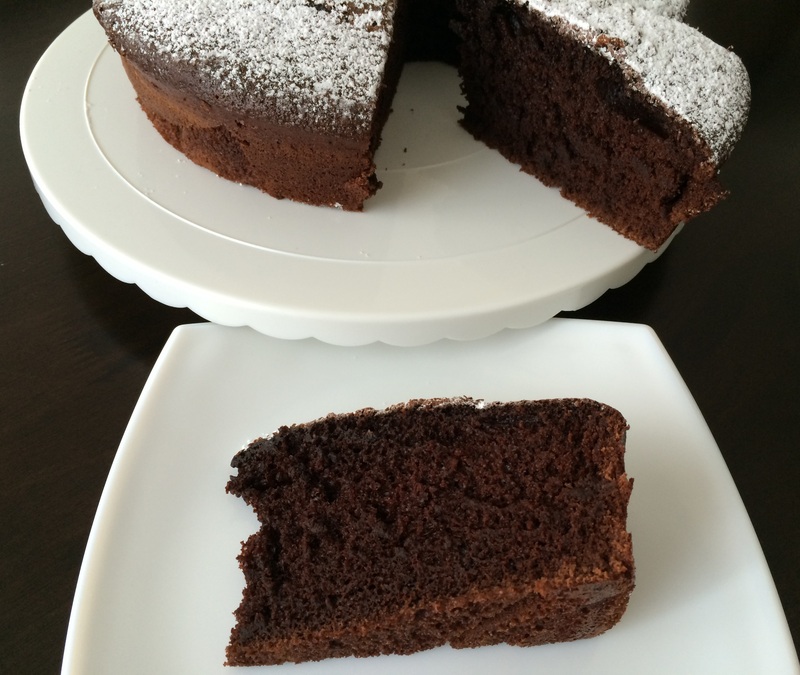 When it starts to thicken and is slightly cool, pour over the cake and more on the edges to get a dripping effect. Smooth out the top. Let glaze harden for 30 minutes. Store in an airtight container and keep at room temperature. If you keep it refrigerated, bring to room temperature before you serve.